Jordan Belfort, one of the world’s leading motivators and author of the ‘Wolf of Wall Street’, has created this revolutionary fragrance concept to enhance your aura, personal magnetism and intensify the power of attraction. “The ‘Phenomenal’ fragrance is a scent for every day that will always be special: wearing it made me feel like the man in the office everyone wants to be – the one in an immaculate suit with just the right amount of designer stubble. 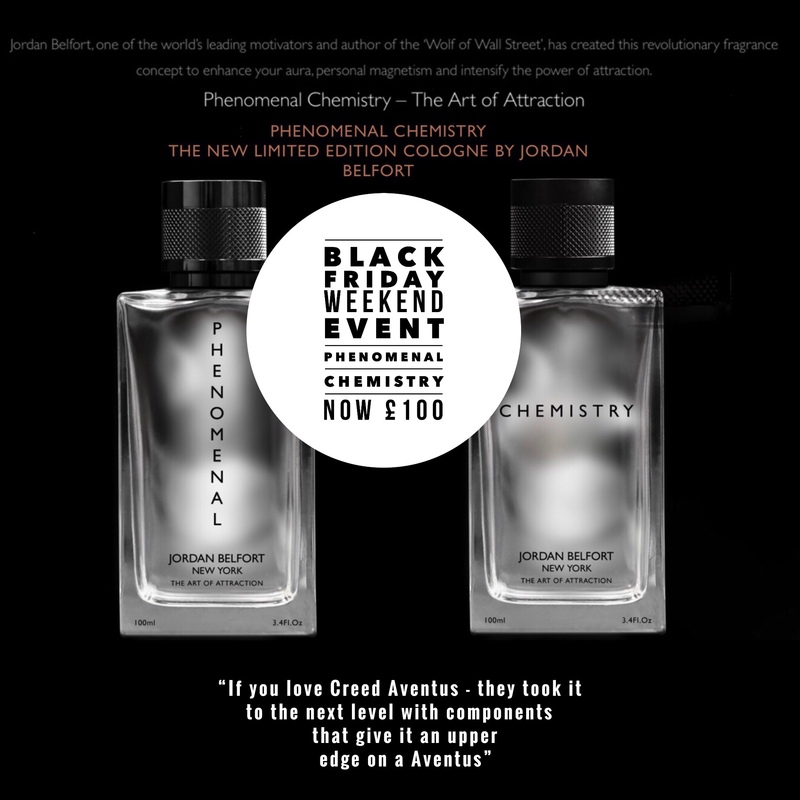 The ‘Chemistry’ scent makes you feel attractive and desirable to those around you through harnessing the natural science of pheromones.